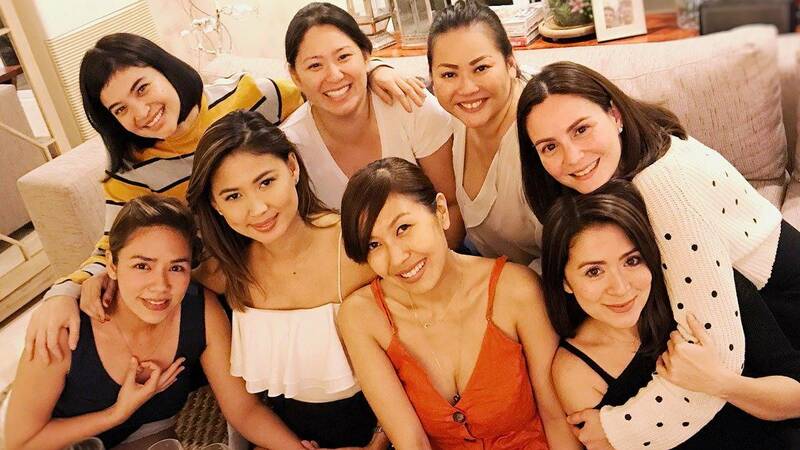 Anne Curtis, Danica Sotto-Pingris, Cheska Garcia-Kramer, Liz Uy, Antoinette Taus, and the rest of the "Superbrats" barkada recently held their annual Christmas dinner, a tradition they've been doing for over 25 years. Antoinette shared a snap on Instagram of the long-time besties and wrote on the caption, "Happy holidays from the #superbrats! Over 25 years of Christmases together and looking forward to many more years until we celebrate as lolas! Love these girls so, so much!" And just like any barkada, almost everyone shared the same photo (with changes in editing styles and captions, of course!) on their respective IG accounts, with Danica declaring that they've officially turned into "Bratitas." Cute!